It's no secret that Tom Hiddleston is a god among mortals. His screen and stage acting credits places him into the top echelon of thespians... and, of course, he is a total hunky hunk. But, obviously, Hiddleston's greatest contribution to the planet earth is his smile. The world is simply a better place when place when Tom Hiddleston smiles. After all, Hiddleston's smile is literally like bottled sunshine. If a magical genie came from the sky and granted me three wishes, my first wish would be to end world hunger, my second would be for world peace, and my third would be for a pocket-sized Hiddleston so I could see him smile whenever I want. Since genies are not real (or maybe they are just really good at hide-and-seek), I must resort to looking at pictures and videos of Hiddleston on the Internet. (And by resort, I mean, I spend a lot of my free time doing this very activity. I promise it is not in a creepy way. It is in more of a scientific way, like scientist. A scientist who is studying just how gosh darn cute Hiddleston is.) So, here is the evidence I have gathered thus far about the different Hiddleston smiles. This is one of the earliest evidence of Hiddleston's smile — and I must say, Hiddleston looks dashing with blonde poodle hair. This might be my favorite smile. It shows how humble Hiddleston is. It's like two-for-one present bonanza. 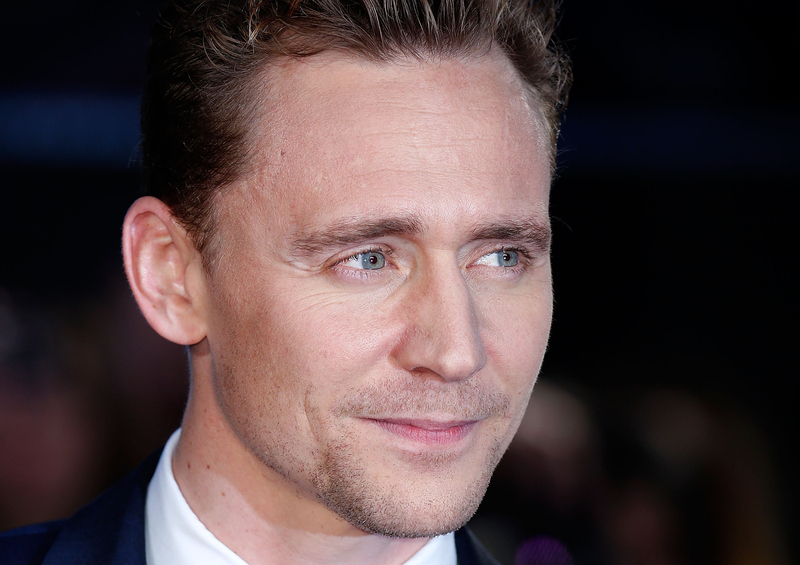 Even when holding back tears, Hiddleston has the face of an angel. I like when the usually clean-shaven Hiddleston lets his wild side loose. So cute. So cute. So cute. This man has such a powerful smile. It's like he wants to tell you a secret. His signature lip licking and he 100-watt smile? My heart can't take this. I wish someday, I can make Tom Hiddleston laugh like this. I'd invest in that smile. Everything about this image is good. I bet Tom Hiddleston tells real good jokes. Hiddleston makes looking good look so easy. Celebrate how beautiful you are, Tom Hiddleston. You earned it. You can tell he really means it because he uses both hands. It doesn't matter how he smiles, it always looks good. I like cookies. Hiddleston and I have so much in common. Look at Tom Hiddleston lean. He leans in such a cute way. Awww, I love it. He looks so happy here. I approve of everything that is happening in this image. It's like his whole body is smiling. When Hiddleston and I are best friends, he will tell me the best jokes. I have never wanted to be Ms. Piggy so badly. Look at those pearly whites. Someone has excellent dental hygiene. It's like he is smiling right at me. I feel like Tom Hiddleston can see into my soul. Even his eye brows are perfect. With Hiddleston and his many smiles in the world, there's nothing we cannot accomplish.